Caption - South African Railways (SAR) GMA class Garratt 4060 drags a failed diesel into Bulawayo station in June 1981. 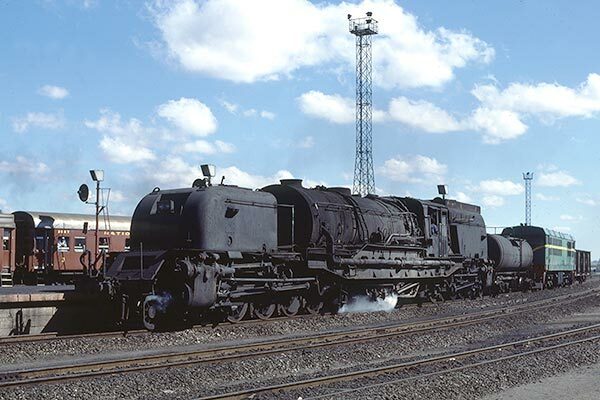 At this time Zimbabwe Railways (NRZ) had a number of South African Garratts and class 14R 4-8-2's on hire to cover for a shortage of serviceable motive power. In Zimbabwe the GMA's were used with the water tank leading rather than running in reverse with the coal bunker leading as they did back home.